When you leave a comment on THIS post by 6 p.m. CT Sunday, April 1, 2012 you'll be entered in the drawing for a copy of the book I review below. You must be eighteen, a U.S. resident, void where prohibited. 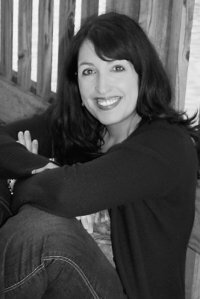 Christy Barritt is an award-winning author, freelance writer, and speaker. The second book in the Squeaky Clean series, Suspicious Minds, won the 2009 Daphne de Maurier award for Excellence in Mystery and Suspense. Christy lives in Virginia with her husband and two sons. For more information about Christy's other books and projects, visit her on her Facebook page here. Crime scene cleaner and wannabe forensic investigator Gabby St. Claire knows her best friend, Sierra, isn't guilty of killing three people in what appears to be an ecoterrorist attack. But Sierra has disappeared, her only contact a frantic phone call. Crime scene evidence Gabby discovers while cleaning tie seemingly random murders together--and point to Sierra as the guilty party. Just what has her animal-loving friend gotten herself into? If that's not disturbing enough, who's the person following Gabby? A federal agent who hopes Gabby will lead him to Sierra? Or someone with more sinister plans? To find Sierra and prove her innocence, Gabby will have to rely on all of her training and abilities, plus the help of a man she loves and the protection of a God she's only recently begun to believe in. If you enjoy reading mysteries, this book is for you. While trying to prove her friend innocent of all charges, Gabby follows every lead, some good, some dead ends. Well written, suspenseful, develops Gabby’s personality quite well. You won’t have this one figured out till at the very end! Remember: leave a comment on THIS post by 6 p.m. CT Sunday, April 1, 2012 and you'll be entered in the drawing for a copy of Organized Grime. You must be eighteen, U.S. residents only, void where prohibited. Please remember to leave your email address so that should you be the winner I can get in touch with you for your mailing address. really has piqued my interest Jo! especially liked this thought.."the protection of a God she's only recently begun to believe in." The description piqued your interest--the book will too. Thanks for dropping by and leaving a comment. Thanks so much for your tweet! Love suspense. I like the cover! Please enter me to win a copy of this book. Hey Deborah, thanks for coming by and leaving a comment. Come by any time. Love this concept! Would love to win the book. Will tweet your about your post. Hi Pat, thanks for stopping by and leaving a comment. And thanks for the tweet about the giveaway! I've read a couple of reviews of this book lately, and I'm really eager to read it! Thanks for hosting the giveaway! Thanks, Christy, for leaving a comment. And thanks for reading my blog. Come by any time. This is a new author to me. The book sounds great too. Please enter me. Thanks. Amy, be glad to enter you in the drawing. Thanks for stopping by and leaving a comment. I just LOVE mystery stories. I do try to figure out all the answers before the end of the book but will take your word for it that I won't. I hadn't heard about this book yet, so thank you for sharing about it. I'm sure whoever wins will have a GREAT book!! Pamela, yes the winner will have a great book. You sound good at mysteries so maybe you will figure it out, but you still have to continue reading because you'll want to know all about Gabby. I love a good mystery, can't wait to read this one. Sharon, thanks for stopping by and leaving a comment. This book is a good mystery. Hi, Jo, and Christy! Fun interview. And, I love Christy's quirky books. They're thoroughly entertaining. Please enter me in your giveaway. I've just got to see what Gabby is up to now. Peggy, thanks for stopping by. Yes, Gabby is into one mess after another. Thanks for leaving a comment. Why Am I Doing This and How?